There is one genre of film that was designed for a “niche market” so to speak. It always gets the most critique and almost never ends up in awards shows, and that genre is romantic comedies. These are the movies that pull on the heart-strings, renew a sense of faith in love and whisk us away to a place where even when there is a love lost, happiness, success and positivity prevail. While this started off being a genre dominated by primarily white actors/actresses with white storylines and settings that were hardly relatable, it didn’t take long for black film to dominate it. The same love-driven comedic themes but with a relatable, more enjoyable and less neurotic approach from the actors makes these films stand out amongst it’s white counterparts. 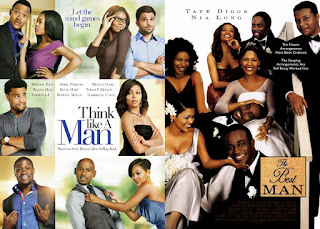 Today I’m talking (and ranking) my favorite black romantic comedies. These are the movies that I credit for making this one of my favorite genres. They have the best cast, great humor and of course they capture the essence of romance all while keeping us entertained the entire time. (Editor's Note: Love Jones, Love and Basketball, and others that are loved universally don't fall into the romantic comedy genre, but romantic dramas). Before we get into Porsha's list, I couldn't in good faith let this list exist without putting in my editor's choice for the best romantic comedy ever. 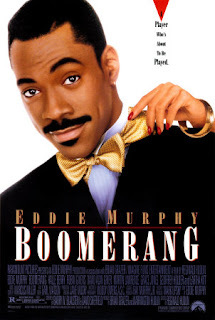 While I consider Coming To America a better blend of a romantic comedy and a standard comedy, there's one romantic comedy that remains to be the greatest of them all and that's Boomerang. The Eddie Murphy led picture exudes charisma, intelligence, and most of all, natural hilarity. 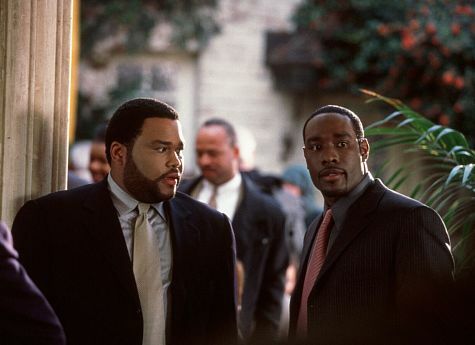 Starring Eddie as Marcus Graham alongside his friends played by Martin Lawrence and David Alan Grier, this film has everything you could want and then some. Robin Givens is good here and Halle Berry gives one of her more inspired performances as well. Overall, the story takes us through the maze of Marcus and his love life, and the end result is special to watch. There's no way we can talk black romantic comedies without talking the GOAT, and that is Boomerang. Now, let's get into the choices from Porsha, shall we? I must be really clear, I don’t like Steve Harvey at all and I haven’t actually read his book. 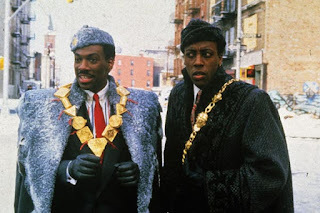 This is the basis of this movie however, Steve Harvey’s book. What gets this on my list is really the cast. The men and the women, who pairs with who in coupledom and each dealing with a specific obstacle is pretty clever. We’ve got the divorce, commitment-phobe player, career driven guy and the momma's boy all creating frustration for their women who turn to Harvey’s book on how to get their men to act right. Of course this backfires and this is where the cast dynamic works so well, the women are brilliant and play their distinctive parts perfectly and the men definitely hold their own when they turn the tables on the women. I think what this movie does well is stay relatable, and yes some parts are exaggerated (it’s still a movie) but everyone deals with struggles and emotions that are expressed here. The entire thing develops at a good pace and doesn’t exhaust any situation and never gets boring and of course the best part is that each situation works out the way it should and the viewer is left content with the outcome of each situation. In what is going to be another Editor's Choice, the favorite scene choice here comes in the form of Kevin Hart and his plight of divorce. As he nears divorce, Kevin literally gives quotes for days, and the funniest one to me is "I got a pocket full of ones and I ain't got on no damn draws", as it is the most random quote in the entire movie, but the delivery is funny. 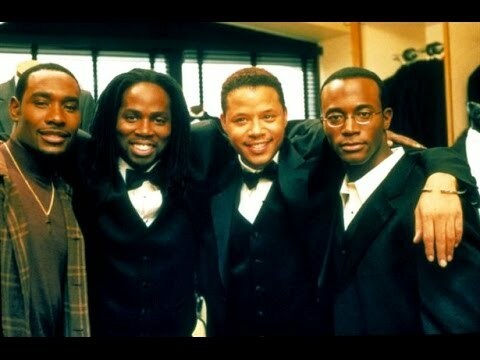 -This was instantly one of my favorite movies. 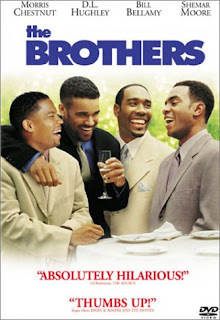 Shemar Moore, Morris Chestnut, D.L. Hughley and Bill Bellamy couldn’t have been better for the roles and apart from the terrible relationship stuff they do and go through, the guys are depicted pretty positively. They are all successful and live pretty good lives apart from their relationship issues. I love the themes expressed here. Friendship, loyalty, trust, honesty and commitment. 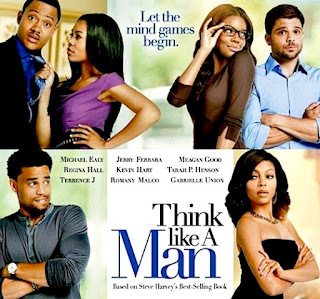 This movie took on the “hot topic” of the lifelong battle between the sexes and what the common “problems” are, commitment being the most prevalent. 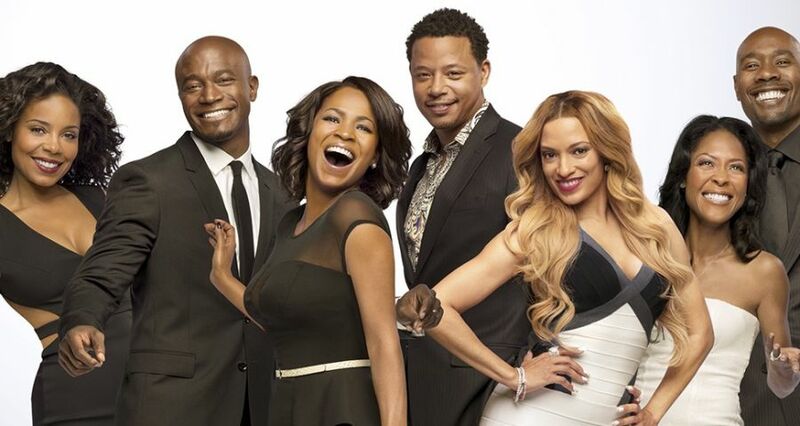 It gets a little sticky when Jackson Smith (Morris Chestnut) meets a lady and is finally ready to give the relationship a fair chance instead of pushing her away when he finds out she dated his father. The best part of this movie is really the dialogue when the guys are at the basketball courts shooting the ball and talking about “their” thoughts on love and relationships, as well as the dialogue with the women when they are together. Both dynamics are great and we see how the advice and thoughts translate in each relationship. This is so easy to watch and one of the few rom-coms that may appeal to the fellas also. 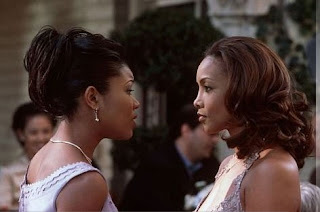 The iconic “last bite of food scene”, when Denise Johnson (Gabrielle Union) is listening to Jackson’s mom. She says that if a man gives you his last bite of food, he really truly loves you. She looks for this each time they are together and as viewers, we also want this to happen but it doesn’t until at one point, he does and you can see the happiness. As silly as it is, it’s subtle and cute and we know that “he really loves her” after that and that’s a great thing. -I absolutely love this movie for the way it is narrated and written. It is like an instruction book on relationships that unravels in the most entertaining way. 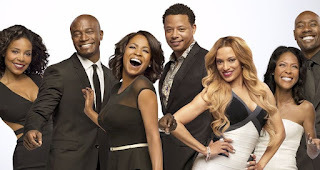 Vivica is the lead female in this role and it’s narrated through her perspective as she gives us instructions on how to deal with a breakup and win the man back. I know this movie gets a lot of criticism for being so inaccurate and that is true, but a lot of what is said has some underlying realism. 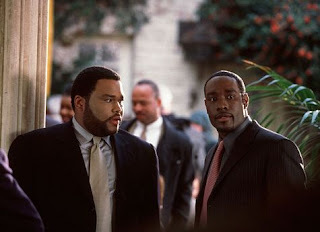 Morris Chestnut and Anthony Anderson are like real life best friends and absolutely feed off each other’s humor and personalities. This is a fast-paced and entirely comedic movie the whole way through with some of the most quotable lines and of course a very good soundtrack. “The Transference Of Energy” when Keith is in a depressive state over the breakup and his best friend Tony advises him to get himself together and show up at Shanté’s house. He gets there and they start fighting, he makes her yell and he leaves feeling great while Shanté ends up sad and depressed. 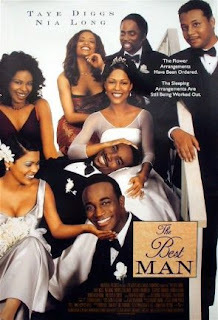 The movie that made me appreciate Gabrielle Union as a staple in rom-coms and a key reason that they are all good. 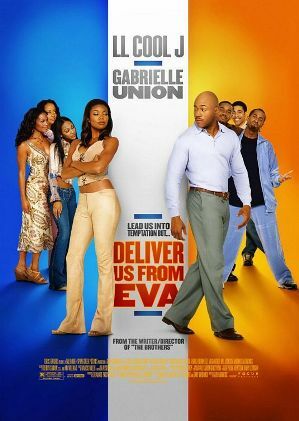 Deliver Us From Eva brought with it a new approach to this genre. There are four sisters and only one of them is not married and unbeknownst to her, causing problems in her sisters’ marriages. 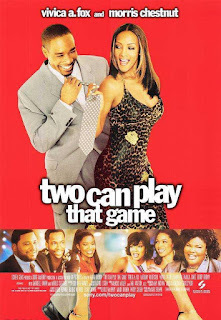 The men plot and scheme to somehow distract Eva so she has a life of her own so they bring in Ray (LL Cool J) who gets paid to woo her and make her fall in love with him. Of course, this works, so well that Ray highlights all the things the existing husbands lack. With any movie that has a dishonest foundation, the entire operation blows up in their faces and Eva finds out about all of it and is heartbroken. I love how well all the emotions are conveyed, and while no one would ever deal with something like this, some aspects are relatable. What I love most about this movie is the classic ending of the “knight in shining armor coming in on a horse to whisk away the princess”. As unrealistic as it is, the happy ending is perfect for the incredible drama that occurred. When the guys try to “kill off” Ray and tie him up in a warehouse meanwhile telling Eva that he has died. While she’s planning and holding his funeral service, Ray shows up and the entire plot unravels right then and there. -A love story intertwined under the guise of hip hop. It almost doesn’t get any better than this for me. 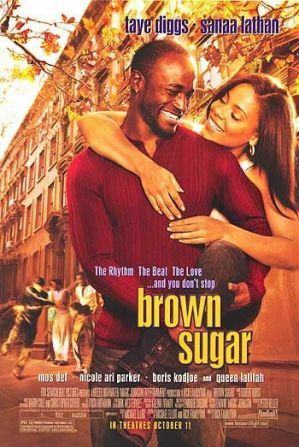 I love everything about this movie except of course that from the beginning I wanted Dre (Taye Diggs) and Sid (Sanaa Lathan) to end up together. However, that would have been too good, so of course it’s the story of the best friends that should end up together but (almost) don’t. Dre meets a woman who is clearly not good for him. Sid meets a basketball player who seems to be great but she just can’t go through with it. It isn’t until this struggle with timing that Dre and Sid eventually find their way to each other all the while their feelings are hidden behind the history of hip hop and old school artists. As much as I appreciate the love story (because Sid and Dre end up together at the end), I love that it touches on the decline of hip hop as well. This movie really caters to those who like romantic comedies AND hip hop and it’s executed beautifully. At Reese’s bridal shower where they play a game on how well she knows Dre but it’s Sid that knows all the answers. It’s at this point we wish they would just get it together and BE together, but it is a fun scene anyways. This is the MVP of all lists. It’s a comedy, a romantic comedy, a classic and a must see for those who haven’t. DAR has covered this movie in depth and it appears on all of our lists so I won’t spend too much time explaining the obvious, but the love story element in this is brilliant. An African Prince leaves his palace and heads to America and ends up working at Mcdowell’s and tries to woo the owner's daughter. 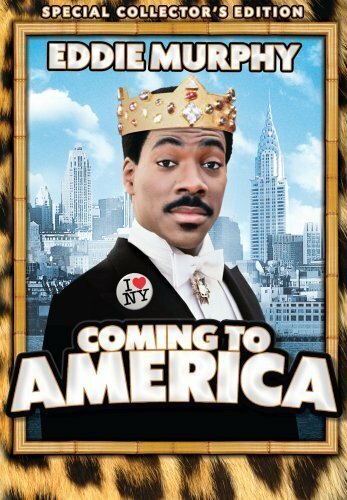 Eddie Murphy is just brilliant and of course James Earl Jones is phenomenal. This cast, the dialogue, the humor and most importantly the culture of both Africa and the United States of America are brilliantly depicted. This is one movie that you can watch over and over and over again without ever getting sick of it. Every scene. I really can’t pick just one because each builds on the other perfectly!! First, I had to group these together because I can’t separate them. 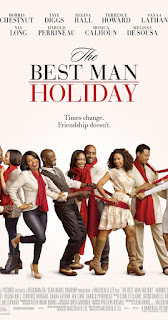 “The Best Man” is truly the best romantic comedy of all time and “The Best Man Holiday” is the perfect sequel for it. We fell in love with the cast, from their friendship dynamics to their romantic interests in one another, as this cast provided hours of laughs, drama and suspense (to some degree). The first of the two perfectly develops each character and provides enough background that the audience gains an understanding of what happened in their past and how it relates to their present situation (Harper & Mia, Harper & Jordan, etc) and the sequel builds on each of these storylines in the most perfect way. 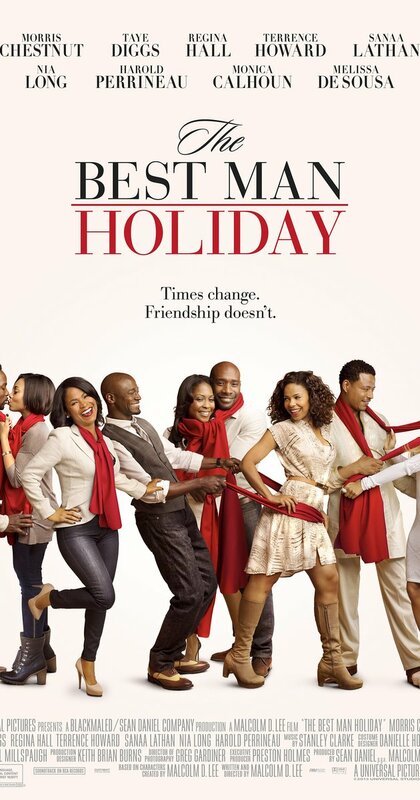 Although “The Best Man Holiday” had me in tears for hours (even after the movie was over), it was so well done. This group of friends shows that their bonds are truly unique and can withstand any obstacle thrown their way. Much like “Coming to America”, both of these films have a ton of replay value and at this point are definitely considered classic rom-coms. The bachelor party where Lance pieces together that Harper had sexual relations with his soon to be bride Mia and nearly throws him off the balcony while Julian is trying to "shoot his shot" at Candy, the stripper who just finished dancing for them. The reactions, the outbursts and the entire setting was so well done. When the guys dress up and lip-sync New Edition’s “Can You Stand The Rain”, it’s perfect and so fitting of everything they are going through and a definite highlight in the whole movie. Romantic comedies have a bad rep so to speak. Every time they are mentioned, it’s met with eye rolls and huffing and puffing while some girlfriend is dragging her man to go watch them. That’s fair but there are some that appeal to both genders and go beyond the obvious sappy overkill lovey-dovey stuff that is so off-putting. The movies that made this list (IMO) are ones that don’t overdo it and have enough humor that even those who may not like the genre would appreciate them. They really are worth watching!